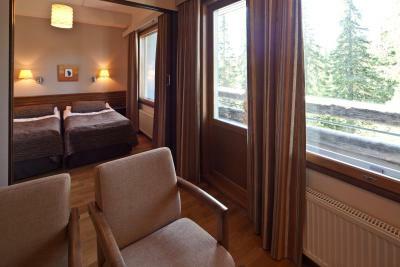 Lock in a great price for Lapland Hotels Luostotunturi & Amethyst Spa – rated 8.4 by recent guests! The room is very cozy, though a little bit far from the main hotel. Dragging your luggage to the cabin on the snow in -10 degree is not easy. Very good with kids with spa,sauna,hammam and à very good mention for thé breakfast😉 Close to the frozen lake and good for a walk. Really good breakfest. Practical and good living room in cabin. 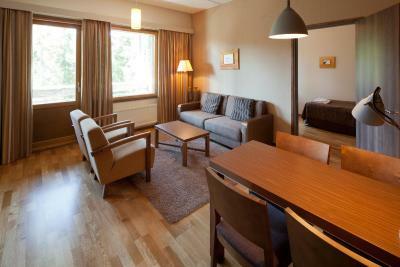 Nice hotel with a good location for skiing and visiting Pyhä-Luosto National Park. We were surprised by the excellent breakfast offer with Finnish, European and even some Asian food included. The room was tidy and it was ok. The breakfast had a great selection which was a very positive surprise. We stayed in a log cabin in the complex - a vey comfy double bunk bed that the kids loved. Enormous buffet breakfast catering for all tastes. Clean and family friendly swimming pool. 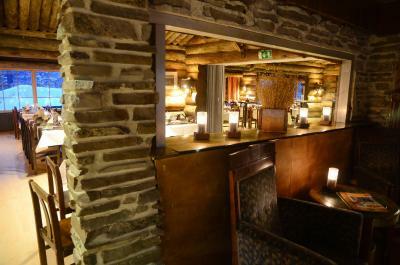 The attached restaurant was one of the best meals we had in Lapland - and the childrens’ menu was very cheap. Simply everithing, including extra service restaurant. 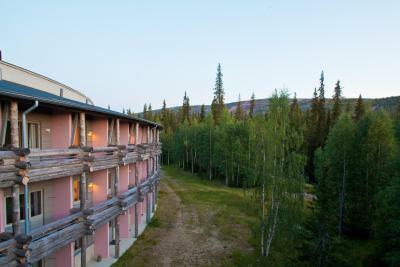 Lapland Hotels Luostotunturi & Amethyst Spa This rating is a reflection of how the property compares to the industry standard when it comes to price, facilities and services available. It's based on a self-evaluation by the property. Use this rating to help choose your stay! 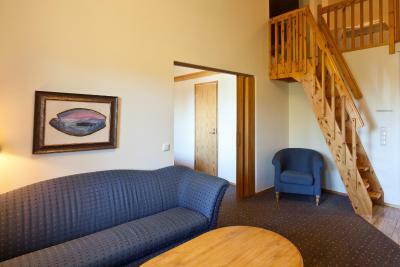 One of our top picks in Luosto.Spectacularly located by Pyhä-Luosto National Park, this spa hotel has 3 restaurants and 4 bars. Accommodations options include rooms, cottages and apartments. WiFi is free. 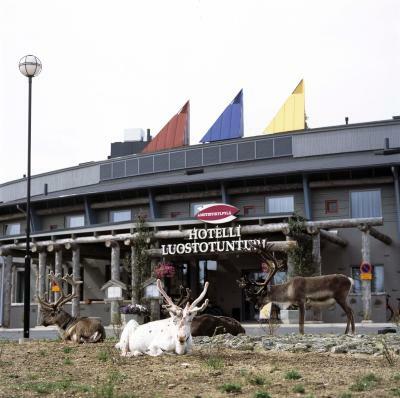 Lapland Hotel Luostotunturi’s rooms include free spa access and cable TV. 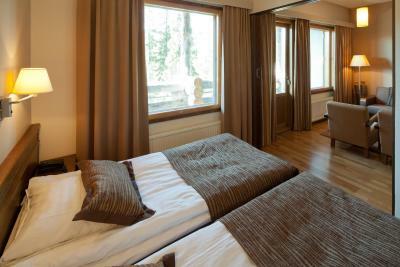 Most rooms offer panoramic views of Luosto Mountains. 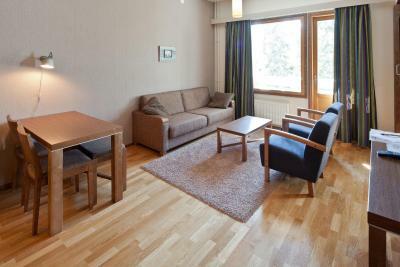 Cottages and apartments have a fully equipped kitchen and a private sauna. 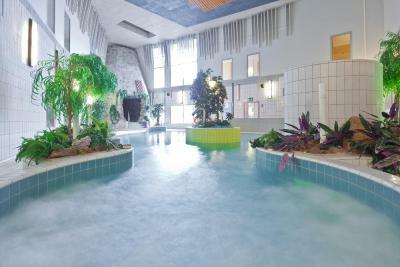 Amethyst Spa includes a multi-function pool, a gym and a sauna. Massage and many other treatments can be booked on site. The 3 in-house restaurants serve regional specialties as well as international cuisine. 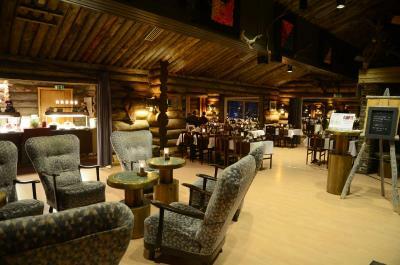 In addition, the hotel has 4 bars, a dance restaurant and a music pub. Staff can help arrange guided ski trips, rock climbing and Northern Lights viewings. 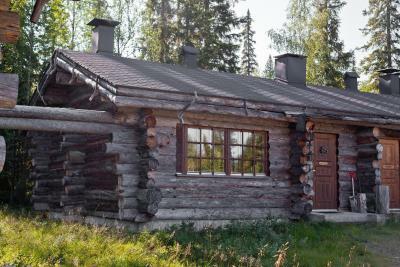 Sodankylä is 25 mi from Lapland Hotel Luostotunturi & Amethyst Spa, while Rovaniemi is about 90 minutes’ drive away. When would you like to stay at Lapland Hotels Luostotunturi & Amethyst Spa? Includes a TV, drying cabinet and a bathroom with a shower. This room accommodates 2 adults and 2 children under the age of 12. Alternatively, 4 adults can stay in this room for an additional fee. 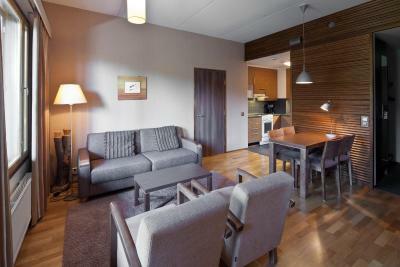 These spacious rooms have extra high ceilings, a balcony and a loft which sleeps 2 people. 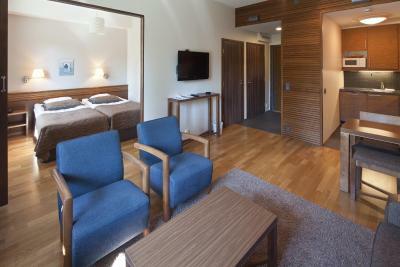 Spacious suite with private sauna, kitchen and a balcony. Most offer views of Luosto Mountains. Located within walking distance to hotel and Luosto's ski slopes, this log cabin-style cottage has a private sauna, kitchenette and patio. This suite features a balcony, kitchenware and a sleeping loft. This twin room has a balcony. Please note that this room type is located near the hotel restaurant and night club. You may experience some noise disturbance during your stay. This family room features a balcony and a sleeping loft. This family room has a balcony and a sleeping loft. This suite has a balcony, sauna and kitchen. House Rules Lapland Hotels Luostotunturi & Amethyst Spa takes special requests – add in the next step! Lapland Hotels Luostotunturi &amp; Amethyst Spa accepts these cards and reserves the right to temporarily hold an amount prior to arrival. Lapland Hotels Luostotunturi & Amethyst Spa accepts these cards and reserves the right to temporarily hold an amount prior to arrival. Please note that the reception is open for check-in and check-out from 8 a.m. until 8 p.m. Guests arriving outside of these times are kindly asked to contact the hotel in advance. Contact information is provided in the booking confirmation. The spa is open daily from 12 p.m. until 6 p.m.
We didn't have the friendliest experiences with staff, but we are aware we don't speak the local language so never like to assume! We were only here for one night, and we stayed in the log cabins separate from the main hotel building, and we absolutely loved it! Our cabin was extremely clean, rustic and cozy. We loved the sauna! It was easy to use and felt amazing. We also built a fire, which made for the coziest evening of reading by it. There were only two of us so there was definitely extra bed space. We slept so well! We didn't really use the kitchen. The bathroom was fine -- it was clean, but the shower took a long time to get a good water temperature. 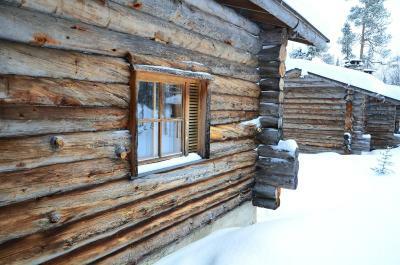 The aesthetic of the cabins is really lovely and we loved walking to the main hotel building for breakfast and dinner. Breakfast was extremely delicious -- so many good options! We also ate dinner here and, since we are not from Finland, we were trying to ask our waitress questions but she wasn't very helpful. However, the food was really delicious -- I just think we would have ordered differently with a bit more information. But it was fun to get a drink at the bar after walking in Luosto (there are easy trails right from the hotel) and then have dinner there. We LOVED the fact there is a Luosto aurora lights alert you can get for your phone, alerting you if there is any activity! Although this didn't happen while we were here, we walked to the lake where it would be incredible to see any Northern Lights activity. It was great to know we'd get alert and not miss out! The area seems amazing for hiking, skiing, snowshoeing, etc. We also drove down to Pyha and found some amazing hiking. Really beautiful area, and we really recommend getting one of the log cabins to enjoy the fire and sauna in the winter after lovely days of national park hiking! Breakfast, sauna and nature was great! Room was in quite poor shape, old fashioned, floor wornout, toilet was ok. They should have arranged luggage portal service to the log cabin area. A little bit dark in the room, kitchen ware is broken when we were there so must be careful. heater wasn't working well also ~ location is not so accessible if not driving. Comfortable. enjoy the facilities and nice dishes in restaurant. Price and quality do not match: one pays too much for that room. The staff was not that friendly, and customers get different service, some don’t get service at all. Everything was great. In particular, breakfast and swimming pool. 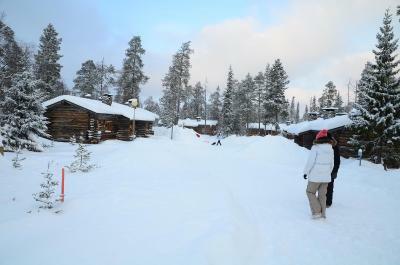 Our best accommodation in Lapland. Beautiful landscape around.